It’s slowly becoming old news that usual “training” or “instructional” programs are not enough for the modern learner to thrive in the workplace. Studies show that long-form training has a completion rate of only 30% (Forrester Research) and that learners forget an average of 41% to 63% of the information “learned,” after one month. (Bahric, 2009). To overcome the process of forgetting, also known for the famous Ebbinghaus forgetting curve, employees need to learn through repeated practice. One of the main things about the process of learning and forgetting is that with such low retention of knowledge in employees, there is no point of expecting long-term results of a training program that doesn’t fulfill certain conditions. First, the program should extend for a longer period and among other things, base on the research-backed concept of spaced learning. Douglas Fields, one of the world’s leading neuroscientists, and his team made a remarkable discovery on the importance of time in the creation of long-term memory. Their work was featured in Scientific American, titled, Making Memories Stick (Fields: 2005). The team discovered that “a simulation of the cell [that is] repeated three times [and is] separated by 10-minute breaks without simulation” makes permanent changes to the cells. Those permanent changes are what make knowledge stick. The constant simulation of the cells caused no reaction, which meant that the length of the simulation didn’t matter in improving memory and reduce forgetting. What mattered were the gaps between the simulation. Those “breaks” turned on the “switch” in the cells, helping the learner to retain knowledge on the long run and improve memory. Harvard patented the idea of using spaced learning in online courses, through their SpaceEd start-up company that offers online courses structured in this mode. The courses are based on two principles, the spacing effect, and the testing effect. The methodology was invented by Kerfoot, a urological surgeon who used SpaceEd to improve prostate cancer screening by 95 primary-care providers. “Participants showed a 26 percent decrease in inappropriate cancer screenings, saving money and minimizing patients’ anxiety,” the Harvard Magazine writes. As a proven way to fight forgetting, spaced learning works the best when implemented into a program that contains other tested methods that help the modern learner overcome the challenges. The goal is to spread short bursts of learning over time, which prevents cognitive overload and improves memory. However, other than the problem of forgetting, other factors such as distraction and length of content should also be considered. Excessive intensity of work. According to a recent study by Bersin by Deloitte, an employee devotes a maximum of 24 minutes a week to training. The Forgetting Curve. We learn, and we forget. According to research, we need at least 3 repetitions for long-term retention of knowledge. Repetitions help us overcome the forgetting curve. The Journey includes optimally spaced intervals of delivering the content, but every time, in different forms. For example, if the employee receives an animated video that talks about a change in leadership practice in the first week, the employee will get the same information again (repetition) in week 4 and 11, but that time as an infographic and a micro-article. 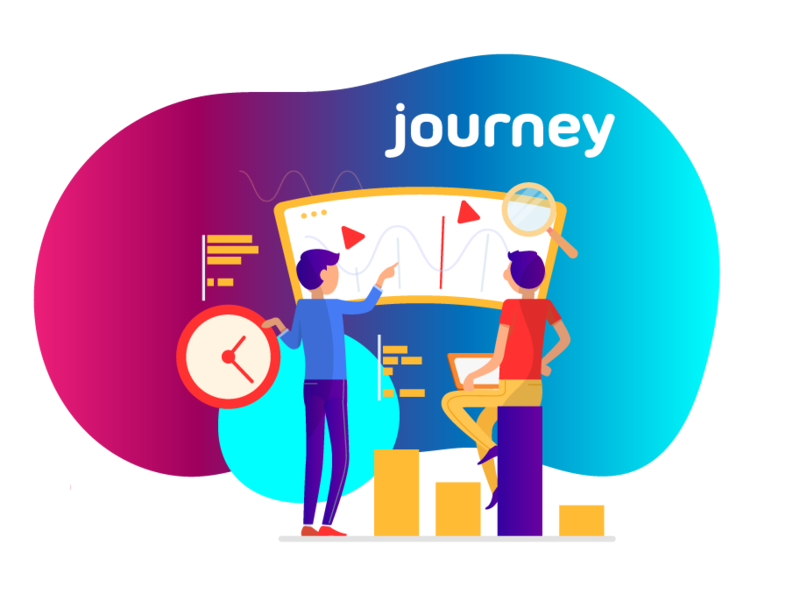 The Journey is a year-long program that is based on the principles of “Spaced Repetition,” and “Micro-learning” that keeps track of the results your company is getting. It sends two assessments, one at the beginning and the other one at the end of the programme. This first principle equals the old adage, “practice makes perfect.” The best way to enhance memory and retention in employees is by having them to participate in more active learning tasks where they can put the acquired knowledge into practice. Active recall means using learned information to solve problems in real life repeatedly, stimulating the brain with thought-provoking questions and issues, rather than passively listening to ideas. Every e-learning program that is built to the needs of the modern learner should include scenarios and simulations where the learner can actively engage with the content. The importance of visuals in learning has been proven over and over again. To keep employees engaged in the program, and increase retention, use animated videos, audio presentations, and other visually stimulating microlearning content instead of just sticking to old-school presentations. If we take a look at Vibons’ content, that worked for many companies. 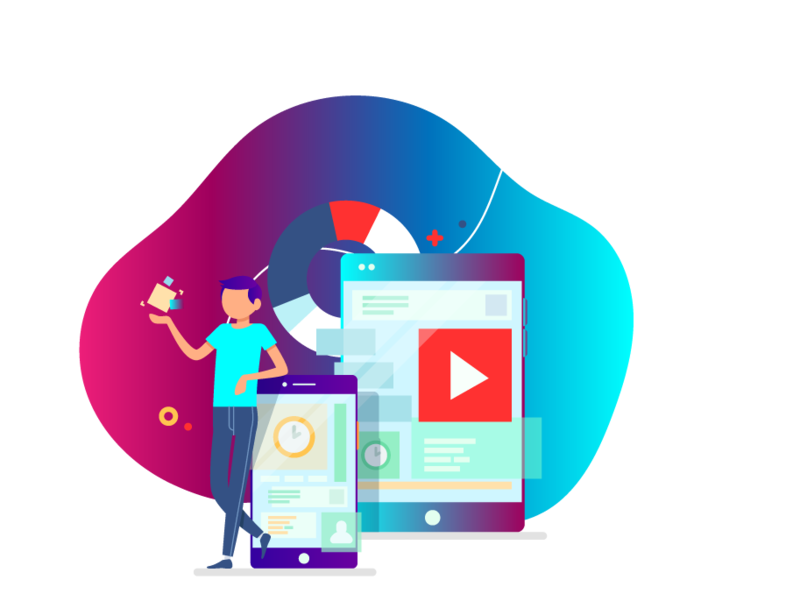 We can notice it included animated videos, infographics, micro-articles presented as visuals, other articles, and much more. The information was packed in a way that allows the employee to revisit the information at any time. To help learners create schemes between the already learned and the new, the content needs to be connected and grouped in related concepts. So, try to make as many associations and include as many examples and stories that integrate an underlying connection between two subject matters or ideas. Stories are a great way to recall old topics and connect them to new ones while assuring maximum connection. What experience do you have with the theory of “spaced learning” so far?